Alicia here today to host the blog today. 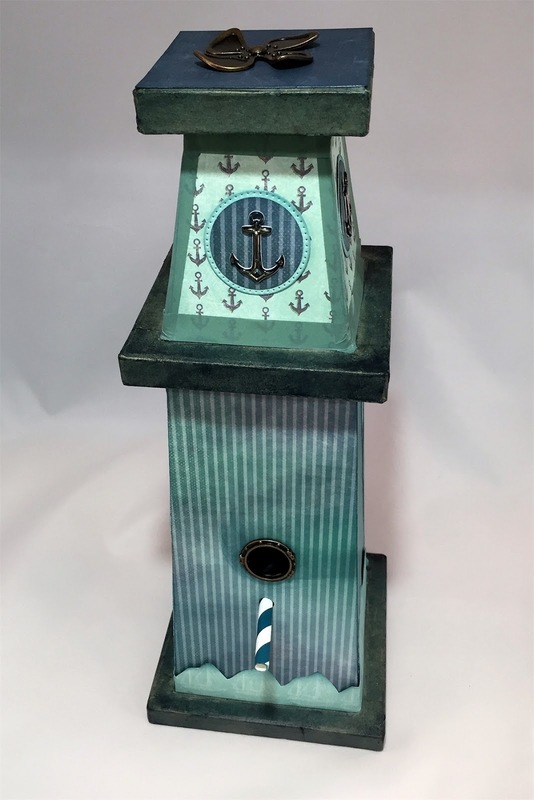 I have a nautical themed bird house to share with you.. 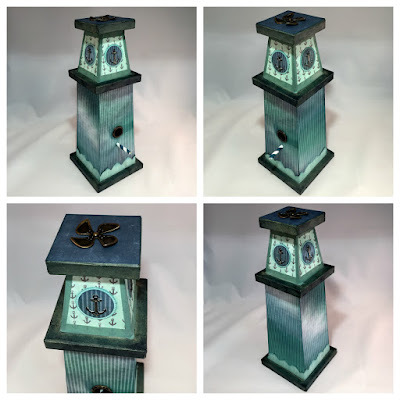 I used the Anchors Aweigh collection along with some nautical embellishments to create this lovely home décor. I have the perfect person in mind to gift this object d'art. I think the colors and nautical theme are a perfect match. I started by chalking the edges I was going to leave exposed. I also chalked the interior of the hole so it would not be bare. It was refreshing to chalk this instead of paint and the drying time saved was a fantastic bonus. I cut and measured paper for all the sides. 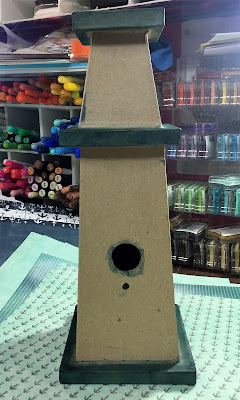 I marked where the holes were and cut them out before chalking the all the paper edges and adhering to the bird house. I used a paper straw as the perch. I found the perfect metal porthole to embellish the hole. I cut and layered some papers, added anchor stickers placed on all four sides. I shaped a strip of paper to layer on the bottom. Finally, I added a little washi tape to some of the edges. I hope I have inspired you to create your own beautiful home décor with paper! It was really easy and fun to create. This is fabulous Alicia! So creative.